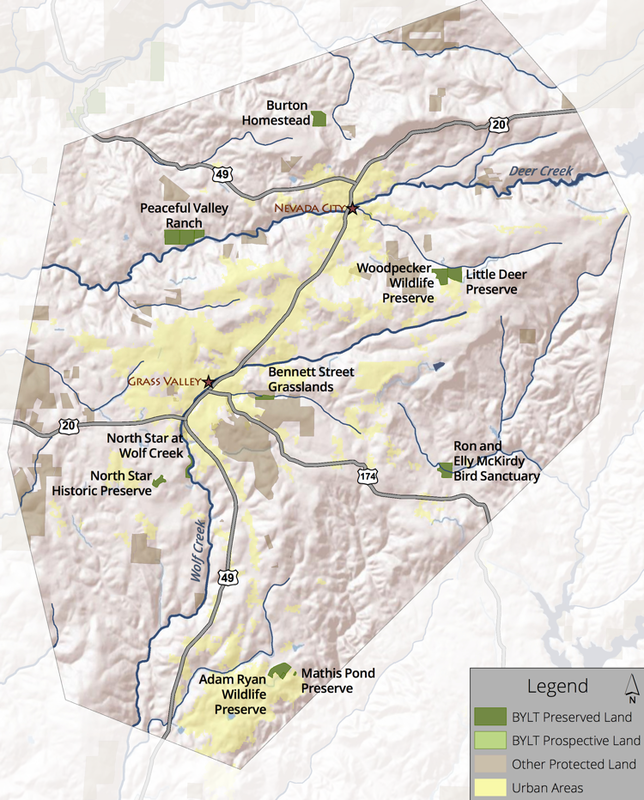 The landscapes within the Bear and Yuba River watersheds are endowed with a rich mosaic of forests, meadows, historical treasures and small towns. The land sustains life and replenishes the spirit of the people who live here. We find comfort in the tight-knit community and timeless charm of our small towns. Our farms and ranches feed us. Our quality of life is deeply connected to natural resources such as clean soil, air and water. 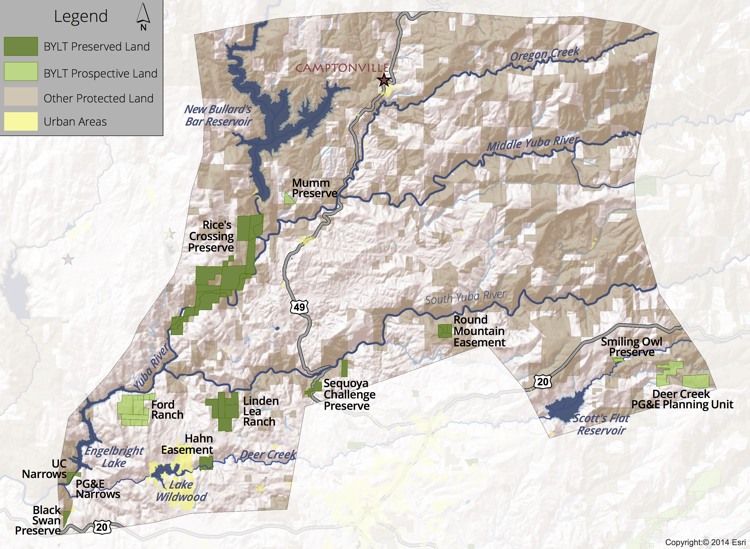 The Sierra Nevada Foothills are changing as open landscapes fill with housing and business developments from urban refugees. Our vision is to retain the distinct identity of our community for future generations. 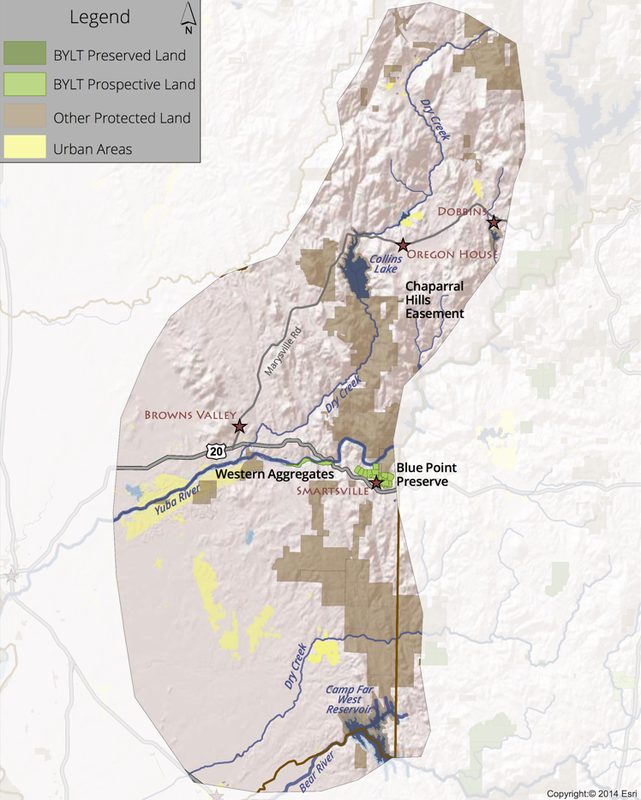 Bear Yuba Land Trust is committed to the preservation of our local history, to the sustainability of our natural resource-based economy, the care of open spaces accessible to all and to retain the rural character that has been the source of our prosperity. 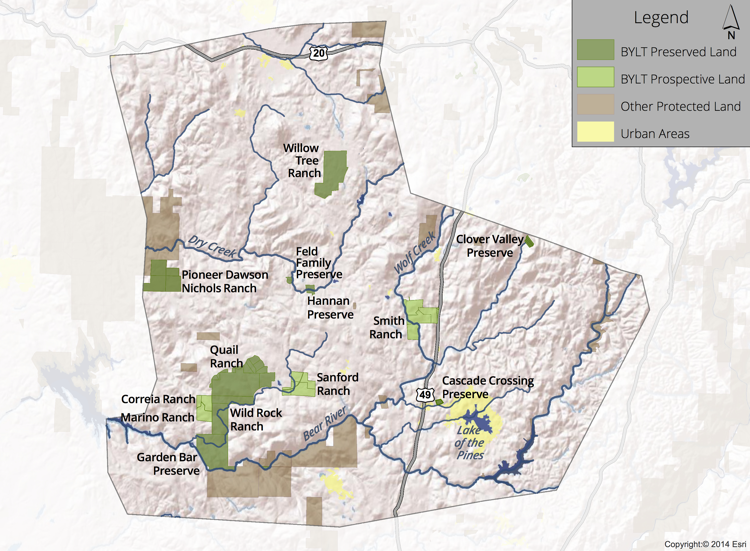 BYLT protects critical landscapes through conservation easements and purchase of preserves in cooperation with willing landowners, other nonprofit agencies and private sources. 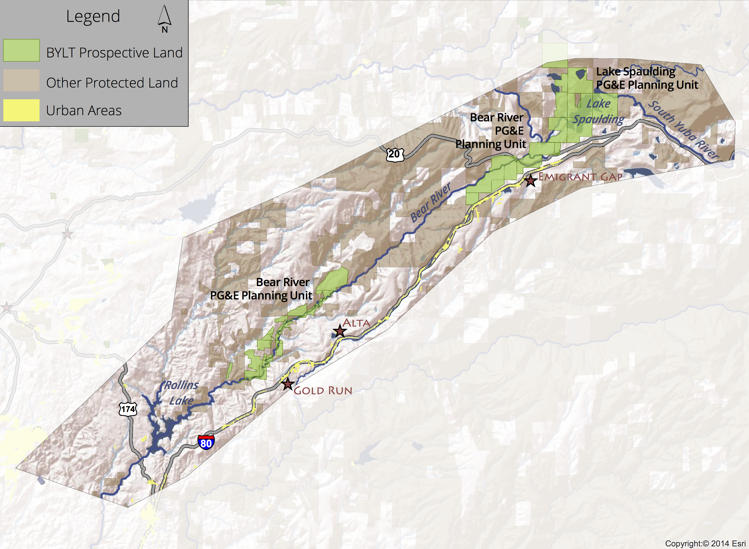 Use your mouse to hover over the interactive maps below. 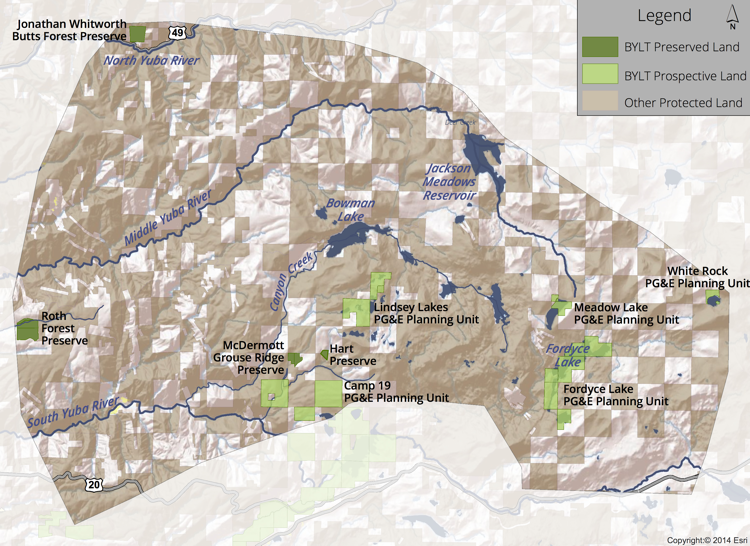 Your cursor will turn into a pointing hand when you pass over the areas you can learn more about, the 15,000 acres of land that BYLT works to permanently protect.